Android isn't the only platform getting its first crack at a proper Harvest Moon release. The farming sim is also coming to the Wii U, PC, and iOS. Only that last one has seen a Harvest Moon game before, but Frantic Farming was a puzzle game, not the farming sim fans have grown accustomed to. Seeds of Memories gets its name from unlockable seeds players receive as rewards for completing tasks. Goals such as raising your first cow or reuniting a villager with a particular item will earn you one of the collectibles. As usual, you will spend the bulk of your time planting crops, tending to animals, foraging for goods, fishing, mining, and trying to woo one of the locals. There will be five guys and five gals whose fingers have space for you to put a ring on. Seeds of Memories will arrive sometime this winter. Hopefully the season won't be too hard on your crops when the game is released. NATSUME TO BRING HARVEST MOON TO Wii U AND PC FOR THE FIRST TIME WITH "SEEDS OF MEMORIES"! Retro-Style Harvest Moon Comes To Town This Winter! Burlingame, CA. – June 2, 2015 - Natsume Inc., a worldwide developer and publisher of family-oriented video games, today reveals the next title in the long-running Harvest Moon series, Harvest Moon: Seeds of Memories. This is the first Harvest Moon that will be on the Nintendo Wii U, as well as the first Harvest Moon ever on the PC. In addition, the title will also be the first mainline Harvest Moon title on both iOS and Android. "From the farm to the town, we wanted Harvest Moon: Seeds of Memories to evoke the feeling of a classic Harvest Moon game with modern twists!" 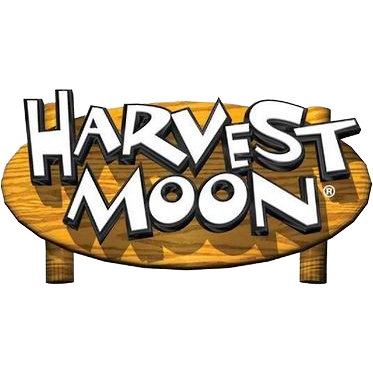 said Hiro Maekawa, President and CEO of Natsume Inc. "We're also excited to finally bring the Harvest Moon series to the Nintendo Wii U, PC, and mobile platforms, where fans have definitely told us they want to see the series." Tasked with the job of revitalizing a farm, players will need to befriend the villagers in town to unlock the titular "Seeds of Memories"! Seeds can be unlocked in many ways, such as giving a villager their favorite item, catching a giant fish, or by raising their first cow. Players will need to be up to the challenge of collecting all of the Seeds of Memories! Old favorites return in the animal department with cows, sheep, and chickens, along with a horse to ride, and a dog to keep as a pet! Farmers will also have a new pet to take care of, but it isn't what they'd expect... It's a bobcat! The bobcat starts out wild, but as players befriend the animal, can they convince the bobcat to become their loyal friend? Featuring cooking, fishing, foraging, and mining, players will need to upgrade their tools to find the highest-quality items. Players will also be able to participate in contests and festivals like the Cooking Contest and Starry Night Festival! Woo one of the ten marriage candidates – 5 bachelors and 5 bachelorettes – and find that special someone to make their farming life complete!